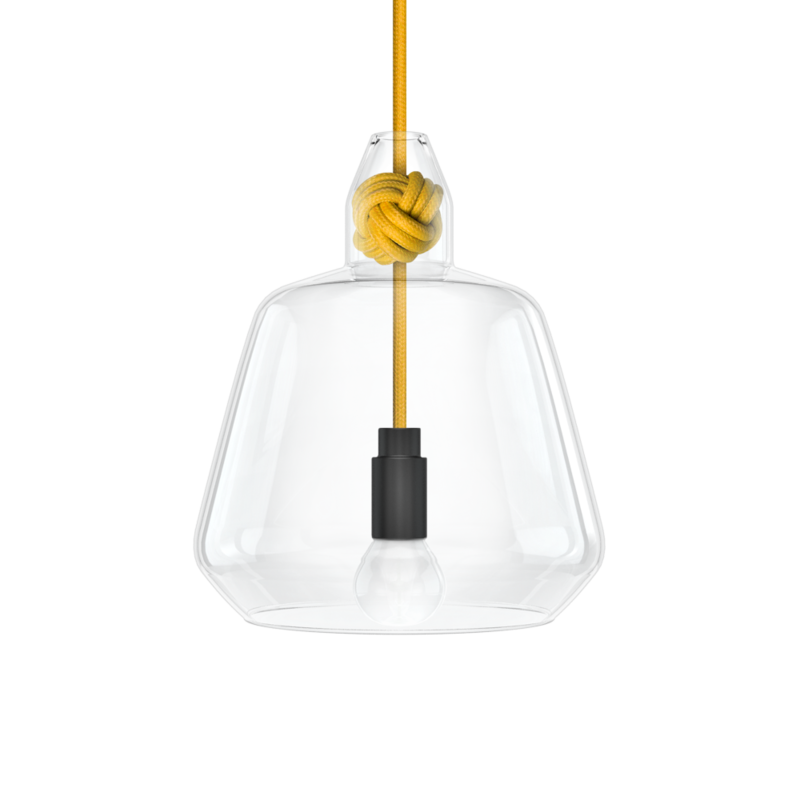 The Knot Lamps come in two different designs of hand blown glass shade each supported by a monkey fist knot. The knots are tied from brightly coloured cable in a selection of 6 colours. The lamps are versatile and can be displayed in an illuminating cluster or line, or alone creating a single ambient glow. Whichever way you choose to display them, the Knot Lamps will subtly draw attention with their enigmatic aura.